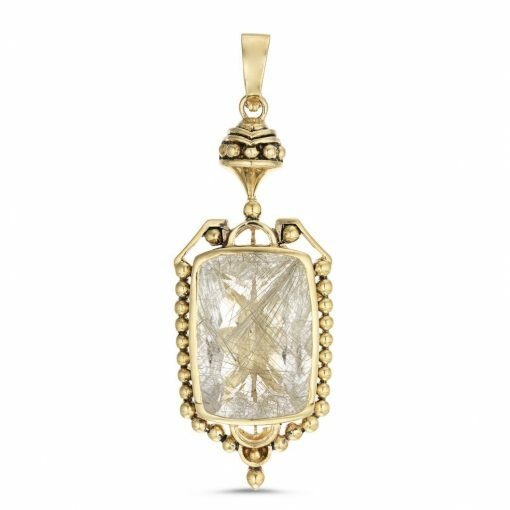 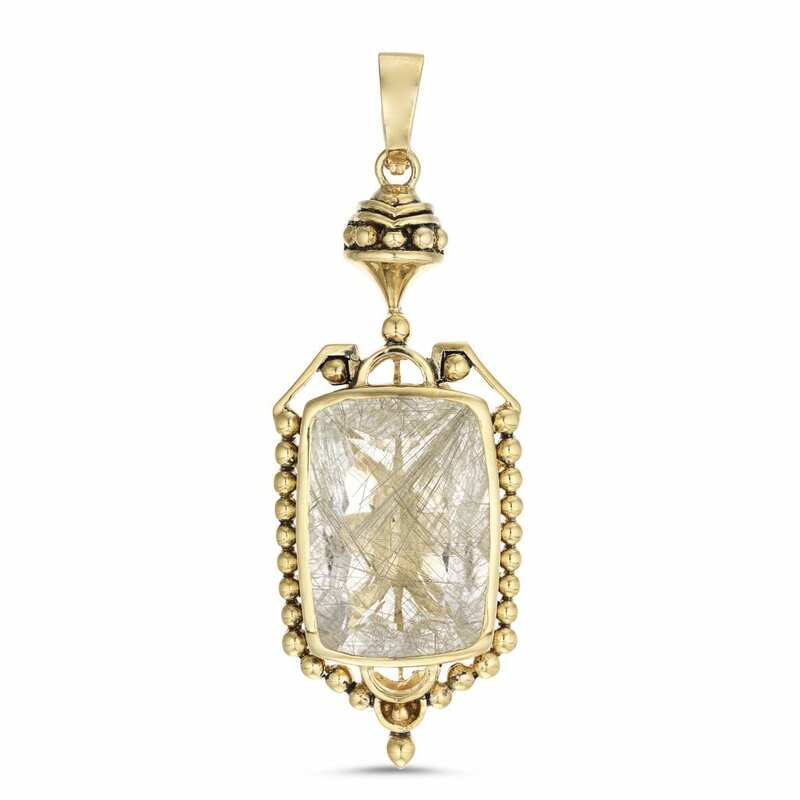 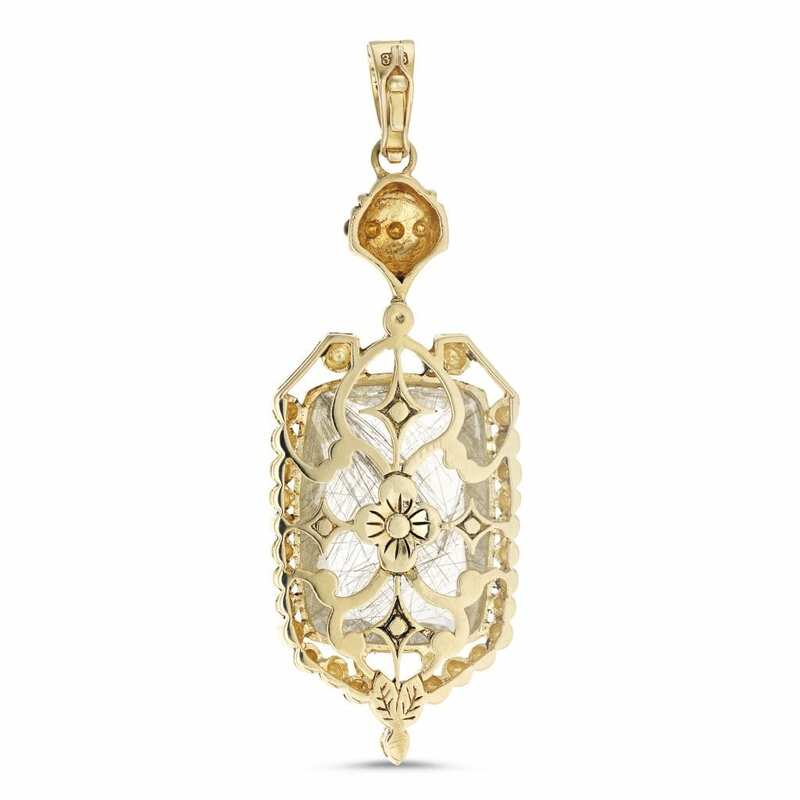 This pendant was made by hand from 9 carat yellow gold and set with a rutilated quartz gemstone. 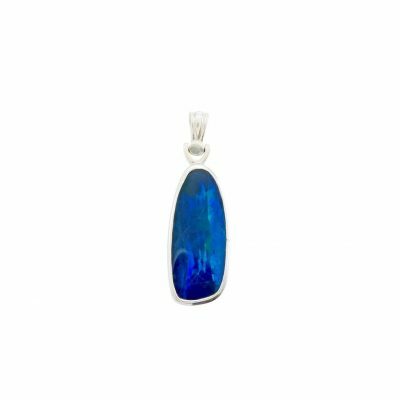 The gemstone measures 25mm by 10mm. 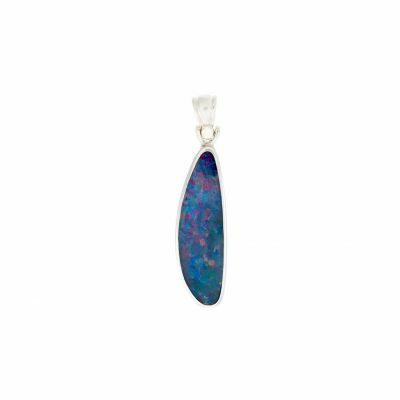 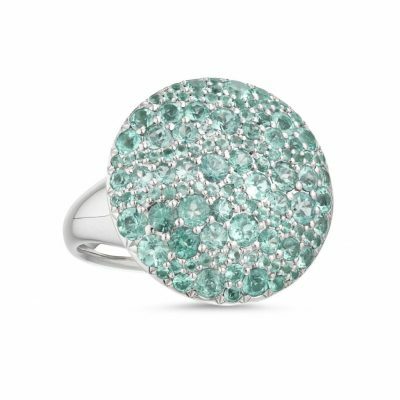 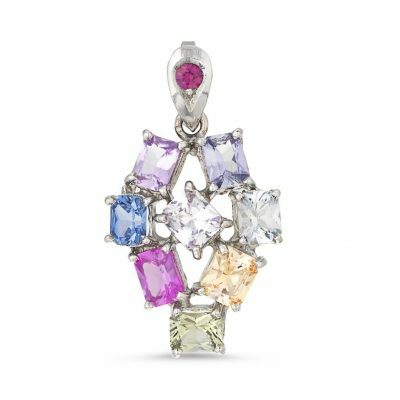 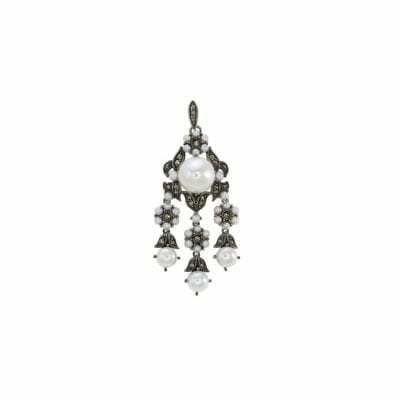 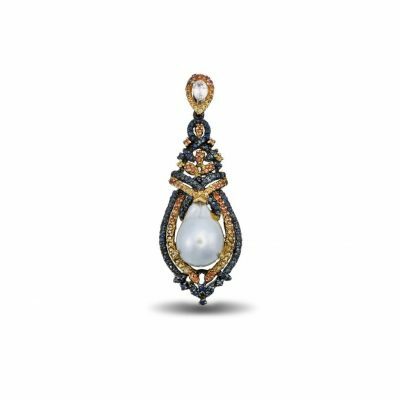 The pendant measures approximately 65mm long by 28mm at the widest point, with a thickness of 10mm.